Who Pays the Debts When a Loved One Dies? A loss is hard on a family especially when the loss occurs before your loved one has a chance to prepare the documents they need to protect and distribute their assets. 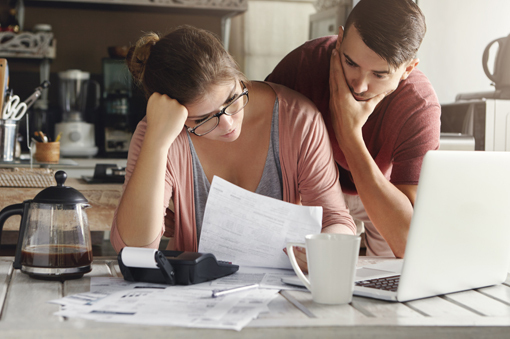 This time in life can be even more difficult to navigate if your loved one has debts that exceed their assets. DiFranza Law works closely with families that need help navigating difficult situations. The following article is designed to help you understand the laws in Florida and how our firm can help you navigate probate and any debts left when your loved one passed away. A will is a document signed by your loved one (with witnesses) that names the beneficiaries for the assets they own when they die. If your loved one has a will and it is valid, the assets can be distributed accordingly. If your loved one did not have a will, Florida Law will determine a descendant who will get ownership of the assets. For more detail about what happens when there is no will, read Part 1 Chapter 732 of Florida Statutes. Most people have heard the term probate, but rarely understand what it means. Probate assets are assets that are owned by your loved one, solely in their name. Probate is a process that gathers and distributes the assets to the beneficiaries, called the Probate Estate. The Court will appoint a personal representative to be in charge of your loved one’s Probate Estate. This can be a person, bank or trust company. The Estate is basically an entity formed when a person dies and it has tax obligations, as well as financial obligations to pay beneficiaries and debt collectors. All of the expenses, taxes, and claims will need to be paid before distributions are made to beneficiaries. The personal representative is required to publish an ad in a local newspaper that allows debt collectors an opportunity to file claims within 3 months. It is the personal representative’s responsibility to pay all valid claims. If you are appointed by a judge or assigned in a will to be a personal presentative, DiFranza Law can help you navigate the administration process. We can advise you on the rights and duties under the law, and if required any legal probate estate proceedings. The probate process can take 12 months or longer depending on the assets that are involved. Not all claims will need to be paid by a personal representative, especially when the estate has more debts than assets. Family members will not typically be obligated to pay a loved one’s debts from their own assets. As long as you did not co-sign for the debt or have a legal to pay the debt, you may not be obligated to pay your loved one’s debts. Contact DiFranza Law to determine your legal obligation. DiFranza Law is experienced with probate, estate planning, and wills.